Mark Taylor took over the reins of Australian cricket after the retirement of Allan Border and turned them into the most formidable side in the world. An analytical mind, solid batting technique and a safe pair of hands in the slips made Taylor a complete package. After making his Sheffield Shield debut for NSW in 1985-86, Taylor was picked for the 1989 Ashes tour. With 839 runs in the six Tests, including a mammoth 219 in the fifth Test at Trent Bridge, 'Tubby' recorded the second-best Ashes aggregate after Sir Donald Bradman's 974 in 1930. He also became the first cricketer to score 1000 Test runs in his debut year. In a 1998 Test match against Pakistan in Peshawar, the left-handed opening batsman scored 334* and declared the innings. He was widely appreciated for choosing not to go past Bradman's score. 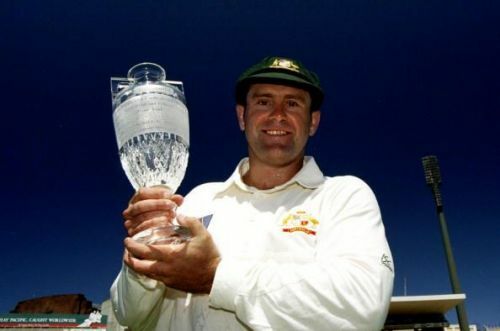 Between 1994 and 1999, the 'Helium Bat' captained Australia in three Ashes series and won all of them.